Struggling with controlling your kip? Feeling frustrated that you have that extra swing in your ttb? Or chicken wing in your bar muscleup? Wishing you could RX that WOD and build better strength & control? Whether you’re getting ready for a competition or just want to get stronger, we’ve got the step-by-step guidance you need to take your kipping skills to the next level. Lats & straight arm strength are an important part of maintaining healthy and strong shoulders, and control in your movements. A variety of exercises, strength progressions, and drills to build your lats. 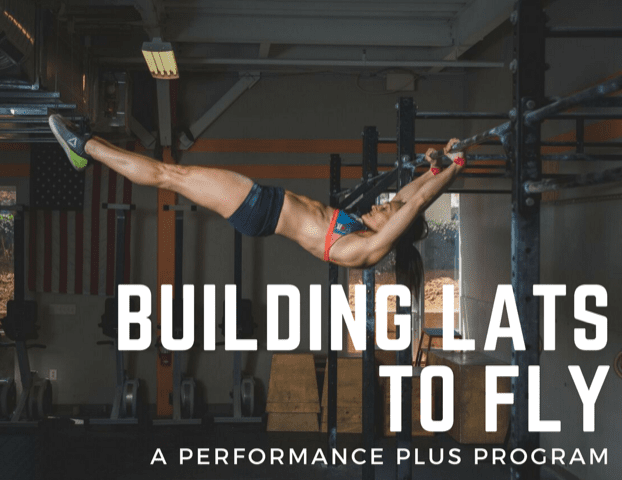 Ready to build lats to fly?